Watching the towers crumble, few remembered America had been attacked on 9/11, once before. Kathleen Murray Moran's own September 11th twenty-five years earlier occurred when her husband Brian, a member of the New York City Bomb Squad was killed defusing a bomb Croatian freedom-fighters placed in a Grand Central Station locker before hijacking TWA flight 355 from La Guardia airport. 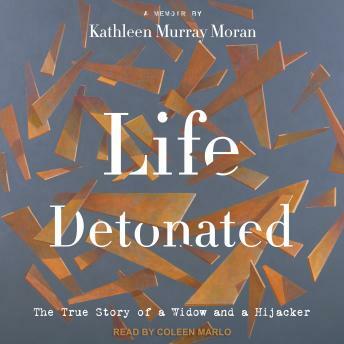 Life Detonated is the story of how that bomb ripped through Kathleen's life, the life she had so carefully created after spending her childhood in a bug-infested basement of a Bronx tenement, one of eight children, where the door was left open to drug dealers and pimps, until she was saved by the man who became a hero to Kathleen and the city of New York. This is a survivor's story. It is the story of moving from being the unintended target of political terrorism to becoming the founder of Survivors of the Shield, a group that advocates for and provides support and assistance to the spouses and children of New York City police officers killed in the line of duty. It is the story of how she moved from poverty to the suburbs and refused to go back after Brian's death. It is a story of resilience in the face of senseless tragedy. And it is the story of evil villains and surprising superheroes.